You gotta feel a little sorry for zucchini. While pumpkin, also a squash, gets the spotlight for delicious holiday pies and seasonal Starbucks lattes, zucchini is usually just slapped on top of an appetizer or cooked as grandma's lunchtime soup. Come on! Zucchini deserves more than a sad ol' bowl of stew. Rich in vitamin C, which minimizes the risk of heart disease, hypertension, cancer, and osteoporosis, this summer squash is a healthy and delicious alternative for some of your favorite main dishes - not to mention some of your most beloved desserts. We know what you're thinking: "Greens have their place and it's certainly not inside a waffle!" Granted, the thought of veggies coming anywhere near maple syrup might sound offputting, but we promise it doesn't taste like it sounds. 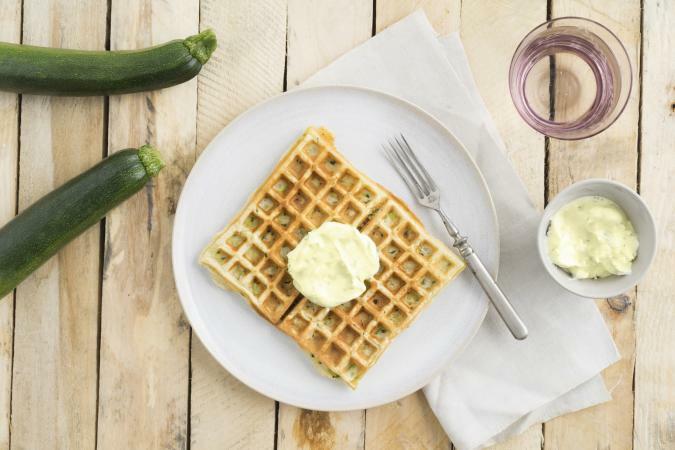 Zucchini waffles are so delicious - plus it's a great way to sneak some greens into your kids' daily intake. Muhahaha! 1. Preheat the waffle maker to 400 degrees Fahrenheit. 3. Strain the moisture out of the zucchini and set aside. 4. Stir the flour, baking powder, salt, sugar, and cinnamon together in a mixing bowl. 5. Whisk the milk, eggs, and vanilla extract in a separate bowl. 6. Pour the flour mixture into the bowl and mix until smooth. 7. 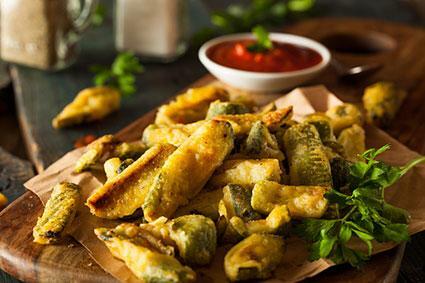 Fold in the zucchini and continue mixing until well combined. 8. Pour batter into waffle maker and cook for five minutes, or until brown. 9. Serve with butter and maple syrup. Spaghetti is literally the most entertaining dish ever. You can spin it around your fork, slurp it up, and savor the flavor of the pasta sauce. 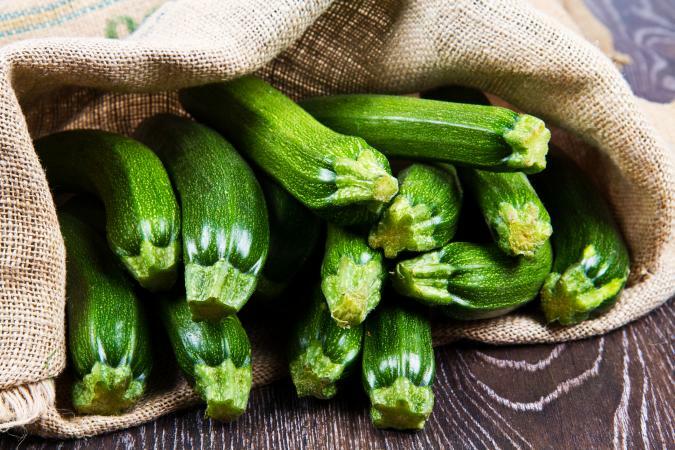 While you can opt for whole wheat pastas to kick up the nutritional value of your spaghetti, how much more fun would it be to use zucchini instead? And there's actually a word for it -- "zoodles." Can you imagine the look on your family's face when you serve 'em green spaghetti for dinner? Priceless! 1. In a food processor, pulse avocados, basil leaves, garlic, pine nuts, lemon juice, and sea salt until finely ground. 2. With the motor still running, add olive oil until mixture is creamy. 3. Pour olive oil into a large skillet over medium-high heat and add the zoodles. 4. Cook for 2 minutes or until tender. 5. In a large bowl, toss the zoodles with the avocado pesto. 6. Sprinkle pepper and Parmesan for taste. The question is: eat french fries, which are at their core a deep-fried heart attack in the form of potato wedges, or munch on equally delicious and guilt-free baked zucchini fries? Gee, that's a tough one. 2. Spray a cooling rack with nonstick spray and place on a baking sheet. 3. In a large bowl, mix Panko, Parmesan cheese and Italian seasoning. Sprinkle salt and pepper for taste. 4. Cover the zucchini in flour, soak into eggs, then dip in Panko mixture. 5. Place zucchini onto baking sheet. 6. Bake for 20 minutes, or until crisp. We're not sure why that one wacky, experimental baker decided to mix zucchini into bread batter, but boy are we glad she or he did it! Sure zucchini bread might sound a little bizarre, but when it's baked to perfection, this moist, slightly sweetened dessert is divine. 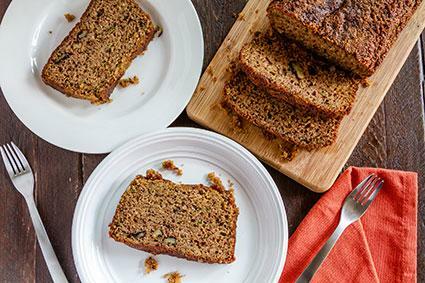 Gluten-free or no, this zucchini bread recipe is definitely a crowd pleaser. Whether you're a vegetarian, on a diet, or simply looking to try cool new recipes, these delicious zucchini recipes will help you satisfy your daily veggie requirement. Soon you'll be saying, "Spaghetti, what? 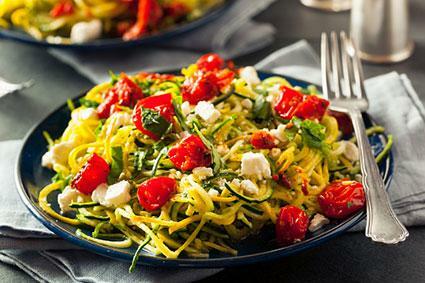 I'm all about zoodles now!"